FAA set up new departure procedures that mandate pilots turn at lower altitudes, much closer to the departure points. The very design of NextGen focuses routes sharply onto thin lines. Thus, traffic that was previously dispersed over many miles of slightly randomized routes is now focused over the same house, with repetitive noise events, minute after minute after minute. Tightening the turns (closer to the airport) creates compression. Because these departures are turned closer to the airport, flights under them (such as helicopters and small GA airplanes flying through) have less space to maneuver, thus tend to fly lower to the ground and closer to impacted residences. One of the impacted communities is Laveen, to the southwest of Sky Harbor. This is an area of farmlands transitioning to residential subdivisions. Under NextGen, when KPHX is in a west flow, departures toward Texas and Florida make a left turn at 1,640 feet altitude. Similarly, other departures generally east (most from New York to Atlanta, and even a few Chicago flights) usually make left turns. The problem is, the KPHX airport elevation is 1,135 feet; thus, FAA is directing these departures to start their turns at just 500-feet above the surface (AGL). A 500-foot AGL turn is OK in many cases, but not when it points flights toward residential areas … as it does at Laveen. VFR Sectional, with the three fixes and RNAV Departure legs added by aiReform.com. The fixes are DAVZZ, VANZZ, and BUNEE. Prior to September 18th, these departures would turn left to heading 240, then continue straight ahead until a 9-mile fix (aka 9-DME), THEN start another left turn. With FAA’s NextGen routes, flights are lower and further east (closer to KPHX), plus they start their second (southbound) turn earlier. The RNAV departures being touted by FAA are KATMN2 and FTHLS2, and both require pilots to remain at or below 8,000 feet MSL (mean sea level) until after BUNEE. As shown at right, both of these new departures are taking off, turning direct to DAVZZ, then direct to VANZZ, and then direct to BUNEE. The change is clearly viewable in the diagram below. The letters PHX represent the airport. The red box marks the Laveen area. 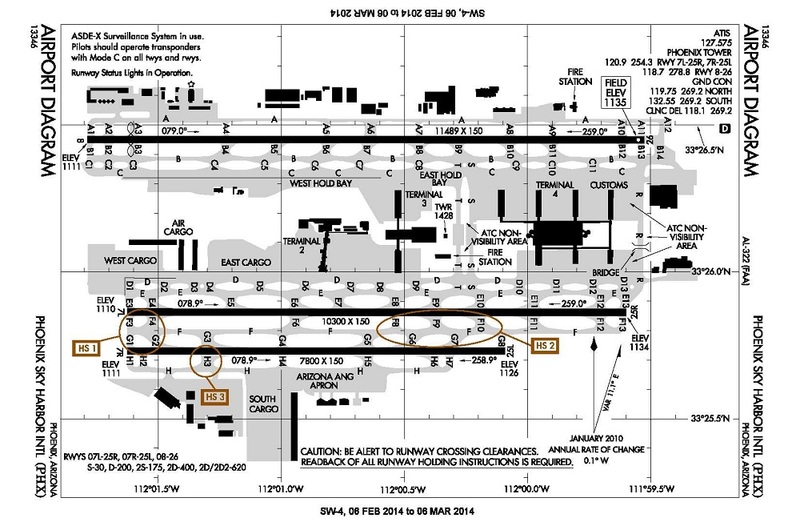 Blue lines represent the old departure patterns; green lines represent the new departure patterns, under FAA’s NextGen. Notice how the green routes are thin and concentrated, versus the dispersed pattern for older blue routes. Also, in the area southwest of PHX, notice how the old 240-headings to 9-DME push the departure pattern further west (and higher) versus the new NextGen routes. The new NextGen lines are green; the new NextGen program is anything but green. And why did FAA implement these changes? Well, it is this simple. FAA collects billions of dollars each year, mostly from airline passenger taxes. They want (need?) to spend these billions each year on airport expansions and technological upgrades, to support the industry. But, the overall airline system has been downsizing for more than a decade, with far fewer flights today than during the peak years of the late 1990’s. Plus, the airlines are understandably averse to spending, especially since most airlines already have (and have been using!) the basic satellite-nav technologies to gain more direct routes and better efficiencies. FAA still wants the airlines to buy more of what they do not need, so they resisted. The airlines said ‘NO’ to FAA’s early NextGen proposals. FAA had to get the airline support, so they traded away environmental impact, granting the airlines minor fuel (and cost) savings via earlier and lower departure turns. They whitewash NextGen with a flood of distorted propaganda, suggesting the technologies are new and efficient and safer. In reality, it is all just a bad and fraudulent sales job.